This Interior Office Signage is Ready to Ship! 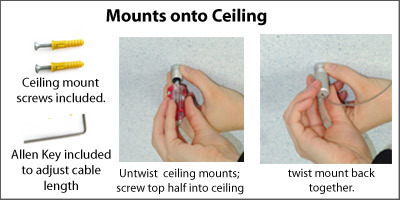 This Sign Comes With All Mounting Hardware. This Interior Office Signage is Ready to Ship! 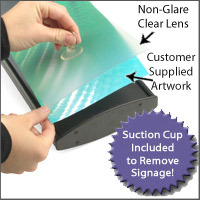 Media Size: 7.75" x 22"
4.5" x 22" 5.75" x 30"
Matte non-glare lens to resist light reflection and prevents damage to graphics. 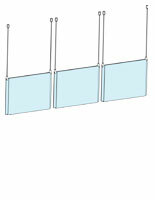 Includes 20" length pre-attached cable wire which can be adjusted for businesses to place at the best height. 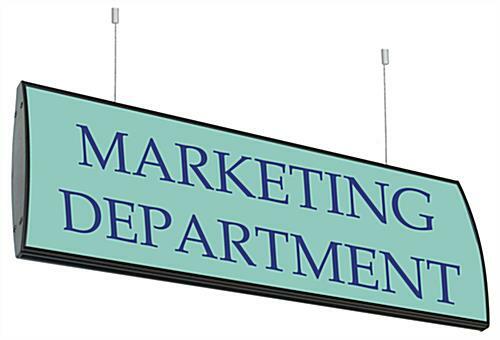 This black anodized interior office signage, also known as way finding signs, is made of an aluminum extrusion to supply a durable fixture in any business organization. 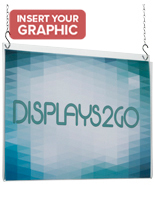 These displays let users enclose customizable graphics. 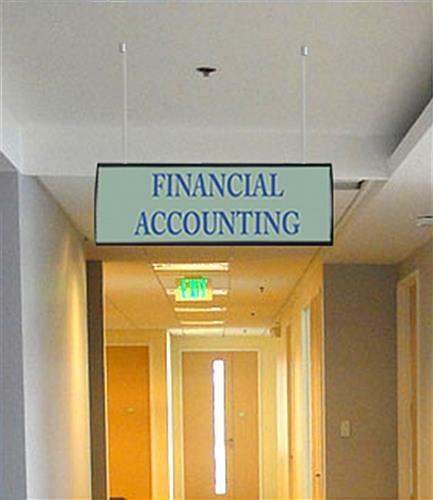 This interior office signage that includes ceiling hanging hardware is really is easy to use! 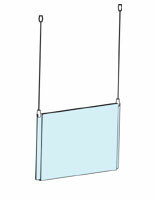 This suspended indoor sign is great for corporate buildings to distinguish reception areas lobbies, merchandising departments, finance departments, and any other segment of the building. 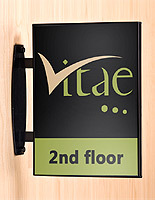 This interior office signage is ideal for hospitals as well to direct patients and visitors to different areas. This curved sign frame includes pre installed cable wire with a nylon coating which is attached to satin silver finished ceiling mounts. This interior office signage that has a non-glare lens holds 7-3/4" x 22" signs. 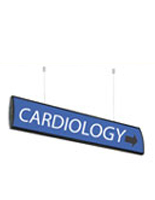 This way-finding display is ideal for many different businesses including hospitals, universities, hotels, and many more! 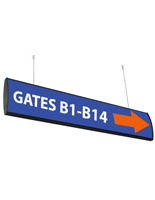 This curved sign frame, directional interior office signage is ideal for airports to direct visitors to the correct gate. 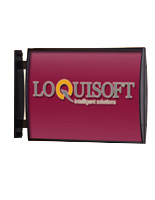 These displays hold any flat, flexible material as an insert so users can design their own graphics to suit business needs. This interior office signage that is dual-sided ensures that visitors can see the display from either direction. 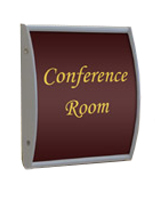 This curved display sign can be used in a large business to mark restrooms as it can be seen from afar unlike typical wall or door mount signs. 22.3" x 8.0" x 1.8"